How do I use WALKERSWOOD Jerk seasoning? Do any of your WALKERSWOOD products contain ALLERGENS? How best do we store your products? What is the shelf life of WALKERSWOOD products? Is your Jerk Country Tour still available? 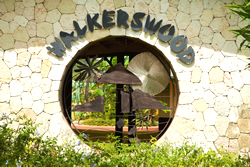 How can we become a WALKERSWOOD Distributor? We recommend using a ratio of 1oz Jerk seasoning : 2lbs / 1kg of meat or vegetables allowing to marinate for a minimum of ½ hour or overnight for best results. – see recipe ideas. No – We do NOT use known allergens such as Peanuts, Tree Nuts, Milk, Egg, Wheat, Soy, Fish or Shellfish in the production of our sauces and seasonings. 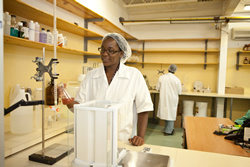 NOTE: We do manufacture a Solomon Gundy (Smoked Herring Paste) which is stored and prepared in complete isolation. No – We do NOT use any Gluten containing cereals: Wheat, Barley, Rye, Malts and Triticale as Stabilizers or Thickening agents. We use only Corn based starches! We print the “Best Before” dates on ALL our products and this date represents two years from the date of production. Once opened and stored properly / as per instruction the products have easily another 6 months to one year. Please see link to our Distributor Application form. We love to hear from you our customers, please send us your feedback so that we can better serve your needs – Thank You!